Located between Carlton Street and St. Paul Street, Cottage Farm is a residential neighborhood of 119 acres. Originally, the area belonged to David Sears II, who purchased the land in 1820. 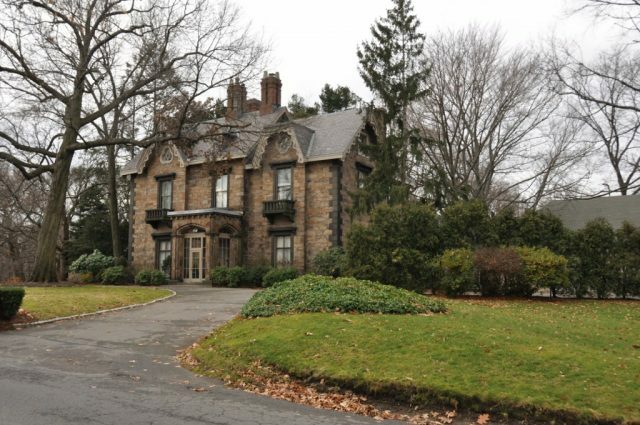 Sears designed the homes similar to English cottages, and modeled them in Gothic Revival and Queen Anne styles. Most of the houses were also built behind private grass squares, which Sears designed for the residents to enjoy. The squares later became public property in the 1920s, and are now home to playgrounds and recreation areas. The land was then sold in the 1850s to Amos Lawrence, a wealthy cotton businessman, who thought Cottage Farm homes perfect for those who were working in Boston, but still wanted a rural lifestyle. As said by Brookline Historical Society, residents today can enjoy Sears’ ideal of a “gracious, comfortable home in a rural setting.” Close to Boston University, the area is home to some students, but still has the charm of the 1850s. Just a short walk down Amory Street and the sounds of the city quickly melt away. Further on Amory are the Amory Woods and Hall’s Pond Sanctuary, a habitat for a variety of plants and animals. The sanctuary also has one of the last two natural ponds remaining in Brookline. Cottage Farm is accessible by the Green Line towards Boston College at the Babcock Street or St. Paul Street stops, as well as the 57 bus to Amory Street.